Miss Cleo says Alan updated!!!! Wow she WAS right about the Queen of Cups. It's been along time coming, but the site has been updated. Look for a couple new pictures and links to my Thunderbird page. 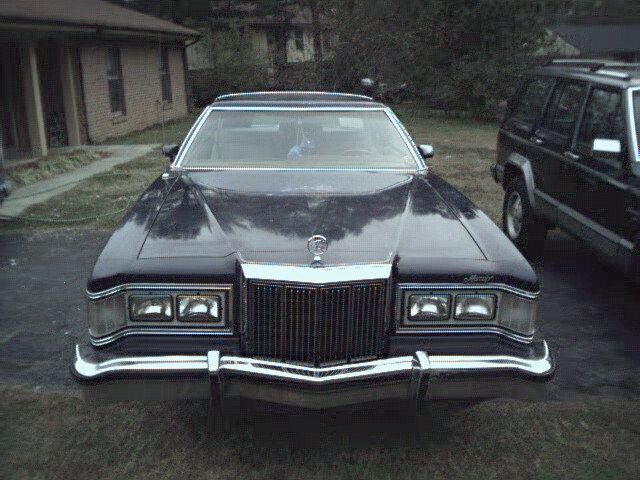 This page is devoted to my 1979 Mercury Cougar, and to Cougars in general. My Cougar is the XR-7 luxury version. In the late 70s, gas crunch, it was decided that Mercury's vehicles needed to be more economical. The result: Ford added a 302 5.o litre V8 engine. The car still weighs almost three tons and gets 15 mpg. My family aptly refers to the car by Mercury's early 50s nickname: "the Lead-Sled." Frighteningly, the car seems totally original. I mean totally. I have yet to find a part that was not on the car in 1979. Most of the fluids (now changed, thank God) were extreemely old. The shocks, oil filter, U-joints were all original. The U-joints had no needle bearings, just to show their age. Its a good thing that Ford builds fine engines, however. I removed the spark plugs to find that they, while aged like the rest of the car, are in perfect condition, displaying the signs of a tight engine. The car itself is fast, comfy and huge. Unfortuantly, its a riot when it gets into snow, ice, water, loose gravel, those weird mirages on hot days, etc. I would highly recomend one, despite these problems. The car cost me a total of $1800 at a place called Jerry's Used Cars. The low cost was due to the various nickle and dime repairs it required and reflected the need for some paint. Actually, the paint was only short of some touchups and wax. The repairs it is currently undergoing are all typical of a car that has driven almost 100k miles. Myself, I am a 17 year old high school student who is avidly consumed with my first car. I'd very much like to place your pictures on this page. I'd give you credit for them, of course. If you have a picture of a Cougar police car, I would be very interested in it. This is an advistising gimmick by Ford in 1966. 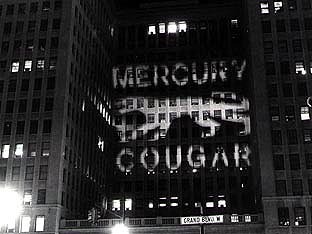 A spotlight with the Cougar emblem was shown on the GM building in Detroit. 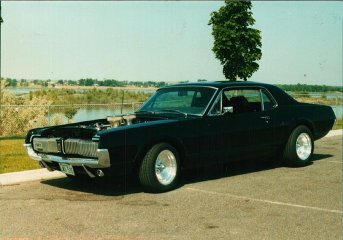 This is my Cougar, click on it to see more pictures of it. Click here to see pictures of other peoples' Cougars. Click on the Lincoln to go to my guestbook.